Hiring an Interior Designer – Is it a Smart Choice? Reference: Why Hiring A Qualified Interior Designer Is Important? An interior designer, due to his immense knowledge and experience, helps you utilizing your budget in the right manner. Whether it is your home or office, you have undoubtedly spent millions of rupees on its land and construction already however if it is not presented artfully, its value would automatically decrease; this is where a skillful interior designer does his job. Each and every corner of your property is planned and decorated in a way that its value multiplies. Besides, if you intend selling your property, you must hire the services of an interior designer. A professional interior designer would do a proficient assessment of your home that would lead to a solid plan of action. No matter you have hundreds of plans and ideas from others that you need getting accomplished, you can never assess your property the way an experienced interior designer does. Always remember, a professional assessment involves intelligent allocation of resources and best utilization of your budget. The budget estimation put forth by a qualified interior designer would never exceed afterwards whereas without the help of a professional, you will always end up blowing off your budget. Experienced and wise home owners or professional builders hire the services of an interior designer, the day they start constructing their home because a professional interior designer and decorator would function as a strong bridge between you and your architect or contractor early on and can head off design misses in your overall plan. “Strong discussions and communication between you and the home builder is crucial in managing time and money” says AmerAdnan. Besides, it is a part of professional designers’ training that they need thinking about things that we usually overlook. The designers save homeowners’ time and headaches by staying in touch with dependable and skillful carpenters, plumbers and electricians etc. and getting all the job done before committed time. Apart from their strong contacts, the interior designers in Pakistan culminate resources and help making your space more collected and pulled together. 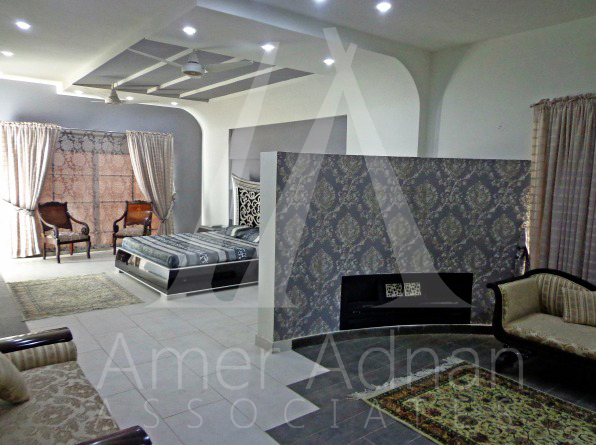 If this information wasn’t enough, you may get in touch with Amer Adnan Associates and see for yourself, how an interior designer can save you a fortune.